Changing careers at any age is not an easy feat. It is usually easier done at an early age than later in life when you are closer to retirement. The longer it takes you to make that switch to a different career path the harder it gets. Because prospective employers and recruiters cannot see you any other way. They cannot see you doing any other thing other than what you are used to. But you should not let that discourage you. Career change at 50 years old or even older is absolutely possible. No matter how hard it is, changing careers at 50 is real. People from various industries do it and were happy that they made that decision. When we first choose our careers, most of us forget to factor in some issue. Issues like our personality, our values and how they can be affected by any career path, values of the occupation we are interested in and our interests. A lot of times our decisions are based on our financial situations. I’m pretty sure you have heard of student loans. Our maturity has something to do with this decision. However, this is not the only issue. Numerous people have had these issues figured out before they even started their jobs. Some years down the line they are dissatisfied and look for a way out. Why? Because there are also other factors that contribute to a career change. 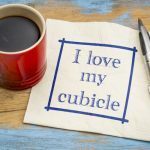 So Why a Career Change at 50? Job burnout is real, even for those aged 50. Working for the same company and doing the same thing every day for over 30 years can do that to you. It can happen to everyone, even those that loved what they do when they first started. This should not put you down though. A job burnout with no actions to rectify can be harmful to your individual self and to your career. Or what is remaining of it. Before making the switch, it is important to evaluate your yourself. Ask yourself if what you really need is a career change or a job switch. Maybe it is your nosy co-worker or your current work environment that is contributing to the burnout. If it is a new career you need, then that is your cue to switch your career. 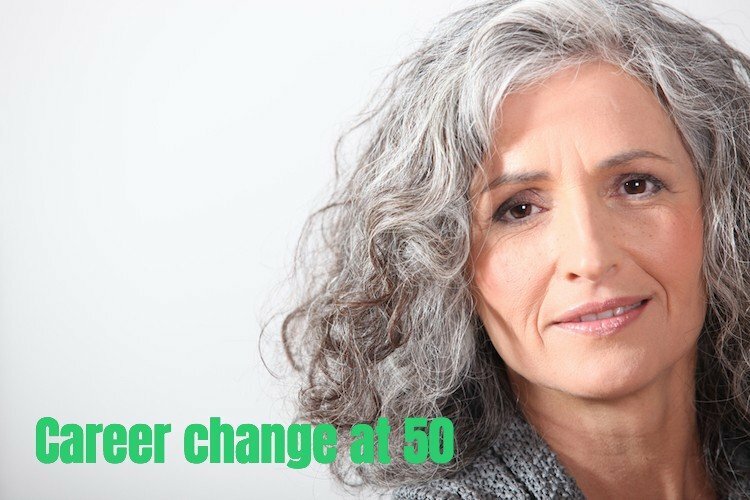 Career change at 50 happens when a job becomes too stressful for the individual. If your occupation is too stressful for you, then switching to a different one may do you more good than harm. Regardless of where you work, your mental and physical health should come first. If your current occupation is not offering you that then it makes sense to change that. However, do your research and see how stressful your next job of choice is. You might find yourself getting into a worse job than the previous one. No one can tell what the future holds. When you made your career choice in your early twenties, you probably never factored in some of the things in your life at that time. Yes, you might have thought of owning a home, a car, taking your kids to the best schools in the neighborhood or buying a vacation home by the beach. However, all this might have come at a cost. Mounts of credit card debt or spending too much time away from your family. What seemed like a perfect career for you back then might not be perfect now due to certain circumstances. In such situations, people change careers. It is one of the ways they can work under circumstances that suit a change in their life. Changing career at 50 years old also happens when one is bored at their current jobs. This could be as a result of various factors. Maybe you have worked your way through your current career path and gone as far as it can take you. Maybe you have been in the same position for quite a while now and there is no hope for any advancement. In any line of work, motivation and challenges are needed. If your current career path is no longer challenging or motivating you to get out of bed then it is wise to change. A different career path might give you the challenge you are yearning for. It is very important to consider the job outlook of your career choice before settling for it. The Bureau of Labor Statistics predicts the job outlook for the next decade in any occupation. From their statistics, you can tell whether there will be a decline, growth or the same employment rates in any occupation. By using this information, you can foresee the employment rates in your occupation for the next 10 years. 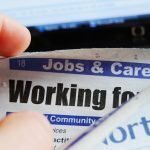 No matter how the future looked bright when you first started out, various factors could change the prospect of having that job in the future. Technology advancements, changes in the industry and the economy can lead to this. It is only wise to change your career to one that has a better job outlook in the future. Yes, money contributes to a career change and that’s especially true during middle age. At this point, it is quite understandable for anyone to have many needs and wants. Your kids are finally in college and we all know that college is one expensive affair. There is a mortgage to be paid and health matters that need you to cough out more money than you can afford. Although a bigger paycheck does not lead to job satisfaction, it is important to consider it in getting yourself a decent life. And if making more money gives you this option then go for it. When looking for a career change at 50, look for one that pays more than your current job, but do not sacrifice your job satisfaction while at it. The possibility of wanting to quit a new career path when there is no job satisfaction is very high. Even when it gives you a big fat check at the end of every month. Remember that you are now 50 years old and it’s important that you are happy with your job for the next 10 or so years. How to Make a Career Change at 50 Years Old a Success? If you want to market yourself to the rest of the world then a personality branding is needed. It is how you let people outside of your career path know who you are. When changing your career at 50, personal branding is needed. It will help you sell your strengths, experiences, achievements, and passion to prospective employers. Your previous career’s track record alone will not help sell your brand to a new employer. They need more conviction to choose you over someone who has been in that career path longer than you. This is true especially when you are starting out an entirely new field at 50 years old. When you do finally make that decision to change your career path and are ready to apply to jobs, make sure you bypass the Applicant Tracking System (ATS). As much as possible, try to avoid doing your job applications online because the ATS will not be friendly to you. Instead, use your networks to put in a word for you with the employers or hiring recruiters. If your friends can vouch for you, and they are great at what they do, there is a likelihood that their boss will trust them and their referrals. Changing careers at 50 is definitely possible. More and more people are doing it for the same reasons I mentioned above. You would want to approach it with caution and a well thought out plan. If you do, you will end up loving your new job until you’re ready for retirement. 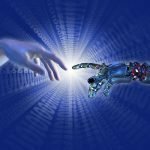 Are Robots and Artificial Intelligence (AI) Threats to Human Employment?